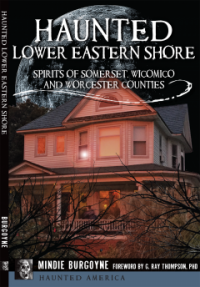 Ocean City, Maryland – Has ghosts? 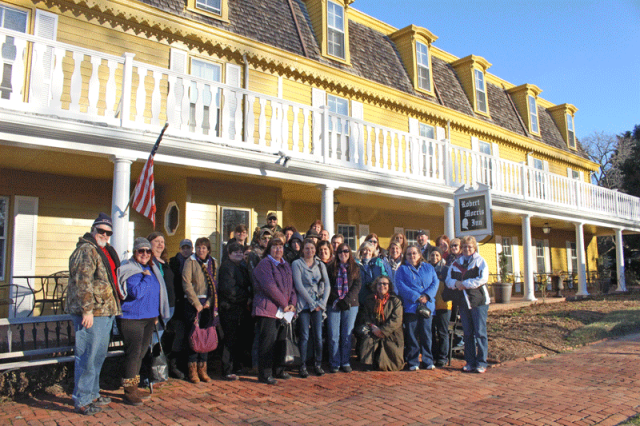 Join us for a walking tour that follows a trail of haunted properties in the historic district of Old Ocean City, Maryland. Hear about child spirits in the life-saving station, the Crying Indian, the Colored Hotel, the haunted trifecta (murder, suicide, accidental death – all in one place), unrequited love, a candy-loving ghost and more. 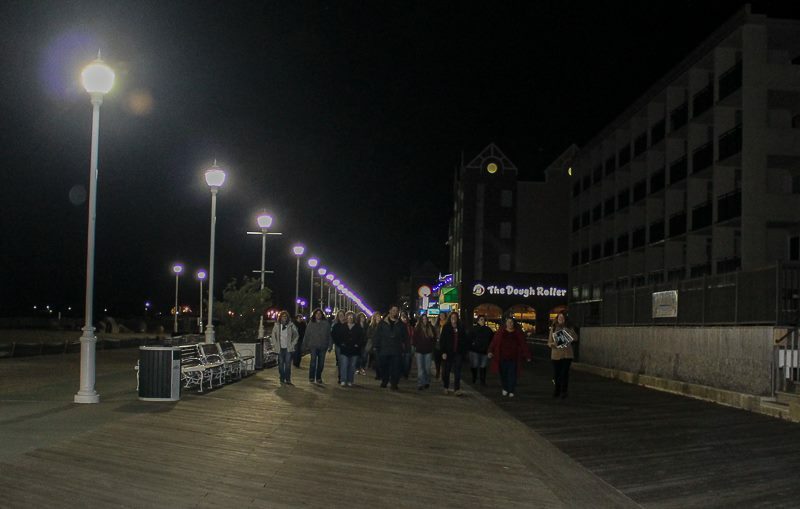 This tour runs between the Inlet and 4th street and is approximately an hour and a half of scary stories and Ocean City’s mysterious history. PLEASE NOTE: WE DO NOT GO INSIDE THE PROPERTIES. This is a ghost walk where stories of hauntings and unexplained events are shared while standing outside the property. This is not a paranormal investigation and we do not guarantee ghost sitings. We do, however, offer paranormal investigations in nearby Snow Hill. 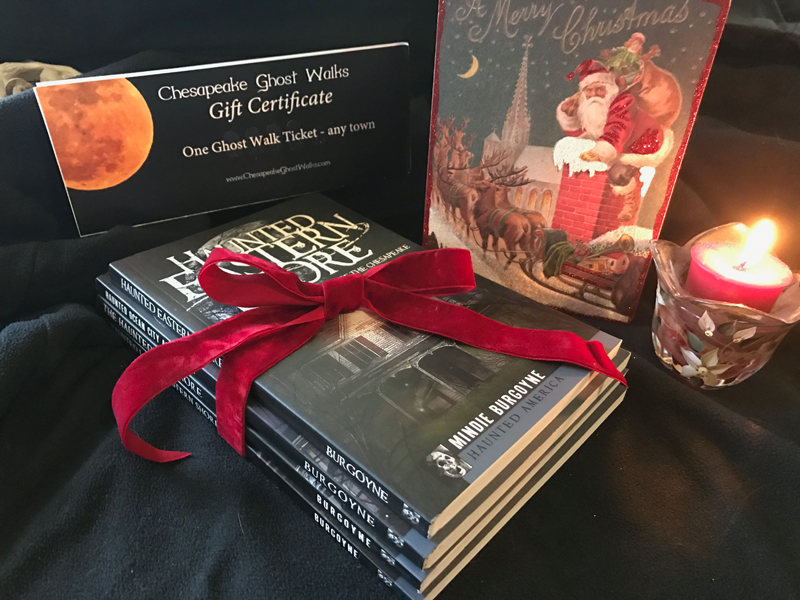 SITES ON THE OCEAN CITY GHOST WALK include the Ocean City Life-saving Museum, Tarry-A-While guest house, the Henry Hotel, Atlantic Hotel, Shoreham Hotel, Trimper Amusements, the Plim Plaza and other properties from the Inlet to 4th Street in the historic district. 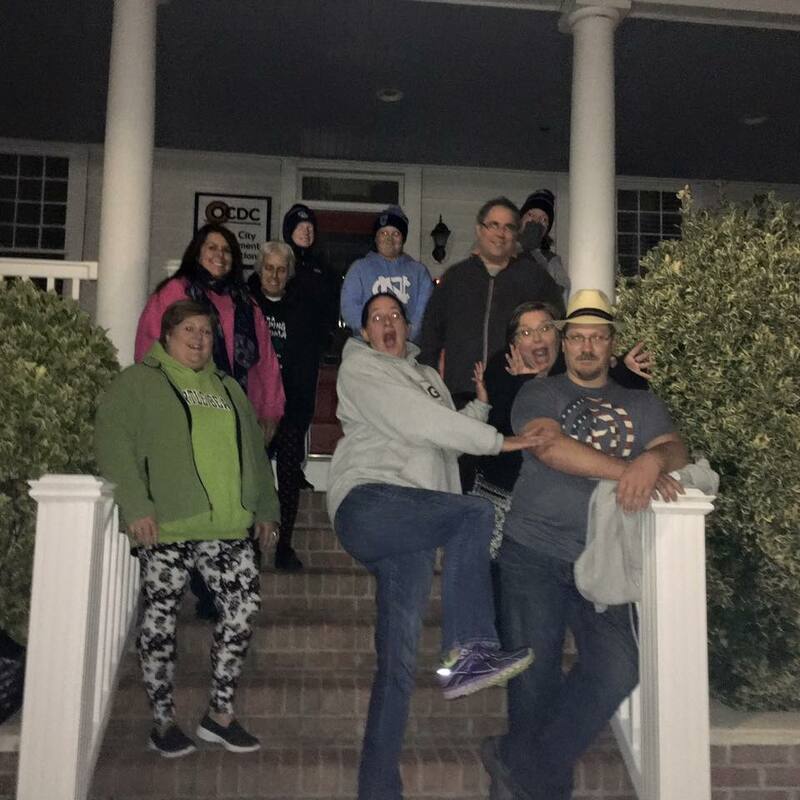 TOUR STARTING POINT AND PARKING – ONE ghost walk starts at the Ocean City Life-saving Station Museum at the end of the Boardwalk at the Inlet, and the other starts at Shenanigans on 4th Street and the Boardwalk. 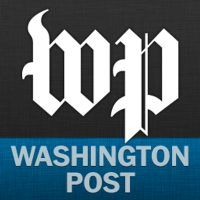 Both tours are the same – just reverse directions. The walk follows the Ocean between the Inlet to 4th Street and is NOT A LOOP, so park somewhere between the Inlet and 4th street. It may be easiest to park at the Inlet and walk back from 4th street at the end or up to 4th Street to begin. TIPS / GRATUITIES – The price of your ticket does not include the gratuity for the guide. If you enjoyed the walk, your guide will greatly appreciate a tip. DRESS & WEATHER: Ghost Walk begins on time. Please meet fifteen minutes prior to the start. It may be crowded near Shenanigans. Look for your guide, who will be wearing a headset. We walk in all kinds of weather except when it poses a hazard to public safety. Dress for the weather. Please include CELL PHONE number on registration in case we need to contact guests regarding a cancellation. Bring your camera. That’s part of the fun. WALKING – This is a walking tour where guests walk and stand for approximately one and a half hours. The walk is about 1.5 miles – one way. Guests must be able to handle walking that distance in order to complete the walk. The route is wheelchair / stroller accessible. Persons with disabilities who use wheelchairs and strollers are welcome. The pace is quick, however. Who is Remembered at Captain’s Hill? Our family took an OC ghost walk on August 1, and found it really interesting! Our guide was Mary, and she did a great job of telling the stories of the possibly haunted places on and around the boardwalk. Very glad we took the tour! how far in advance do you need to book tickets? are they available the day of the walk? Hi Carl. You can book your tickets to any walk on our calendar in 2018. They may or may not be available the day of the walk. It depends on whether or not the tour has sold out. Tickets are limited to our maximum guest count based on the particular town. All tickets must be ordered on line in advance. But you can get a full refund with no questions asked up to 48 before the start of the walk. After 48 hours, all sales are final. Hope to see you on a walk some time. 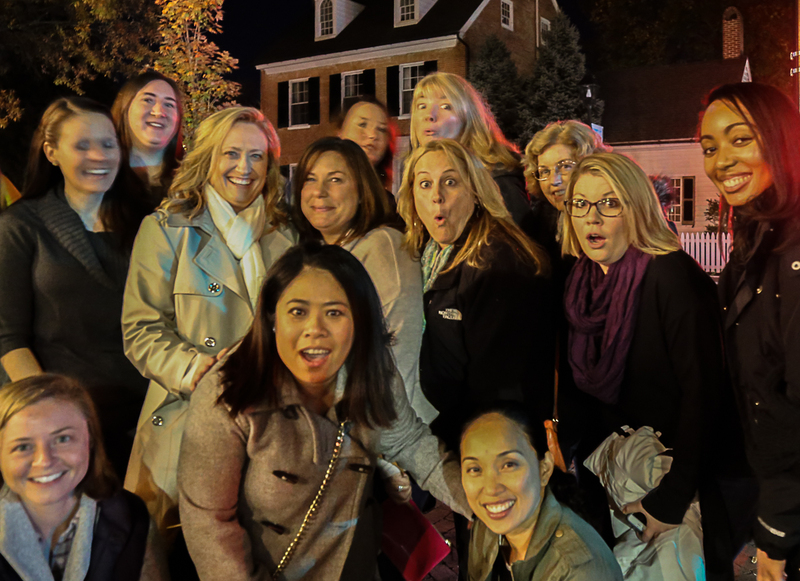 Are there available Ghost Walk Tours on Sundays in October? Hello, Christine! Unfortunately, we do not have any tours scheduled for Sundays in October. We do have several on Fridays and Saturdays. 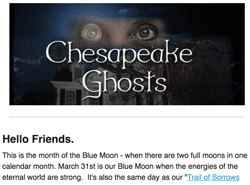 You can always check our tour calendar on http://www.chesapeakeghostwalks.com to view all of our tour dates. Hello, Annette. Unfortunately, we do not have any Ocean City Ghost Walks scheduled during that time. We do however have a walk in Salisbury and one in Berlin on the night of the 29th. They both begin at 7:30 and are fairly close to Ocean City. Please let us know if you have any other questions! This was incredible experience! So much history and things to learn. Mary Beth was an amazing guide! Extremely knowledgeable and a great storyteller! I would definitely recommend this tour. 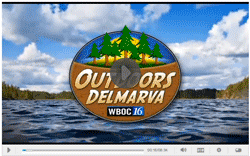 Looking for something different to do in Ocean City? Take the ghost walk!!!! I’d like to go on the ghost walk tonight, but I’m not sure what time we’ll get to OC. Don’t want to make a reservation and not even be in town when the ghost walk happens! How far in advance do I need to make a reservation? Micol, you can call the ghost phone right up until the start of the tour 443.735.0771. We can run the tickets purchase with your credit card instantly and notify the guide that you’ll be there.